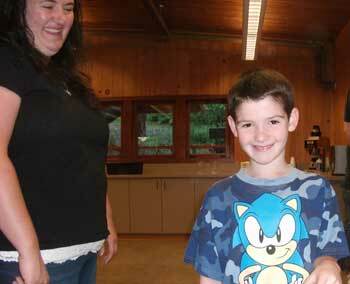 Our 10 year old son was invited to participate in your weekend camp on May 30-June 1, 2014. We wanted to thank you all for an absolutely marvelous weekend! Our son has great difficulty socially and feeling accepted among his peers. It was so wonderful to watch him play with so much joy and make friends. It has a tremendous positive impact on him and he begged us to please come back someday. I wish the people who financially support Camp Prime Time could see what this has done for our son. Additionally, as parents, we relaxed and felt free of judgment by others. We had the opportunity to share what we’ve learned with parents of younger children and we gained hope and perspective from parents who have older children than our 10 year old son. Lastly, we wanted to share our gratitude to the fantastic volunteers. Wow, they worked hard, interacted with everyone with support and humor. We understand that without the volunteers, Camp Prime Time could not operate the way it does. It was do great not to worry about preparing food and to eat such delicious food, a treat! 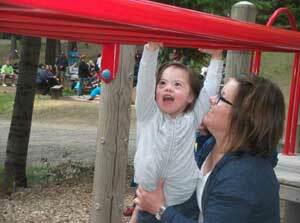 Again, thank you so much for all you do to bring joy to our special children. Hi All: Seriously!... You guys made this such an incredible weekend for us - my daughter and I ad so many special moments. From caring for our health, over the top – Thank you!!! Letting Madeline help deliver s’mores, providing new opportunities for experiences; boat rides, camp fire, long sticks, new toys, hugs around the table, sweet smiles, getting to ring the dinner bell. We are all leaving feeling BLESSED. Thank you all so much! God Bless You All, God is definitely within you! The love, the pride and the good. And all your loving grace. In this wonderful special place. Thank you so much to all the volunteers at camp this weekend. I didn’t get to relay that to all of them before we left. The camp is amazing and we had a very fun yet relaxing time. We really enjoyed the atmosphere and the food! Every time I wear my Camp Prime Time sweatshirt, I will remember this weekend and the wonderful weekend you give to our families. Thanks so much. We had a great visit. Excellent weather. It was our first since the lodge has been (nearly) completed. Young kids really take to the playroom. We stayed in Cabin H, which was perfect for me as I have a bit of a mobility problem. The cabins are so nice; especially the decks, which make for great opportunities to visit and interact with neighbors, and the showers/restrooms. You folks really have done a great job; perfect concept and a perfect site. Thank you! “My daughter Emma, and her two sisters and I, have immensely enjoyed our Prime Time experiences. We have been graciously treated to a wonderful camp environment, great service, and three hot squares [meals] a day. 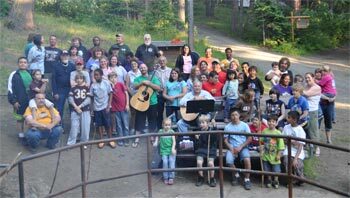 We have been lucky enough to attend camp three times in the past five years. Emma loves the pontoon boat, the fire pit, and the expansive tree house. Most of all, Emma and our family relish the weekend of laughter and spending time with friends around the lodge and in and out of the cabins." “The three hour drive on black pavement from our home to Rimrock Lake flies by with anticipation. We arrive to welcoming hosts and our own cabin in the cool night air. From that point until we leave on Sunday goes by in a flash. All we have to do is enjoy our kids and appreciate our fellow campers. What a refreshing time!" 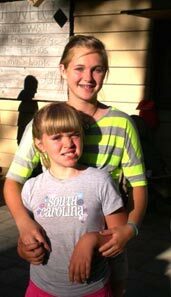 “I am writing in regards to letting you know of our wonderful experiences we have had at Camp Prime Time. We look forward to going as a family every year. It is beyond compare, to watch my son Danny have the time of his life, without all the judgments and stares he receives in every day life. It is very nice for all of our family to be a part of something where everyone there knows exactly how you feel. The volunteer staff has always treated our family wonderfully. They included my son in many things, which lets him feel "normal" for at least one weekend of his life each year. The activities they have for us each year have been great for him and us as a family. We wish that we could go more than one time a year. 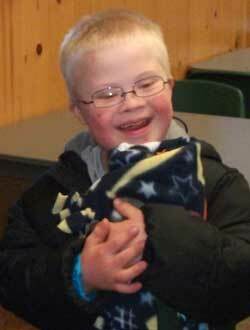 We truly wish his day to day life was as "normal" and "accepted" as he, and we, feel while we are at Camp!" 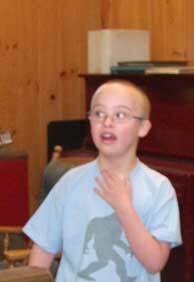 One of our long time campers, Matt, was celebrating his birthday recently and chose to do so by volunteering for a weekend at Camp Prime Time. Matt has an infectious smile and is a phenomenal dancer. He loves to entertain the campers and volunteers by dancing for them and encouraging them to dance with him as well. He likes to play music while he works and frequently stops to dance. On Sunday mornings, we have sack lunch fixings for the campers to make lunch to take with them. We put the food on a table in the middle of the dining room. The Sunday Matt was at camp, the campers were making their sack lunches and he decided everyone was a little too serious. He started dancing among the campers and soon they were all dancing and smiling as they made their sandwiches. We even had a conga line circling the table. Moms, dads and kids were all dancing together. Families were talking about organizing volunteer groups to spend the weekend working at camp. One set of parents, who have been coming to camp for years, and are usually very serious, were flirting with each other like teenagers. It was the perfect end to a fun-filled weekend. We don’t know if Matt realizes how much joy he gives the campers, but it is immeasurable. 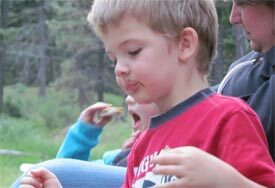 Camp Prime Time is all about providing a relaxing, fun atmosphere for the entire family. Matt embodies that spirit and is a great asset to our family of volunteers.